My name is praveen kumar I want help from you all to save my neighbor Dontamsetti. 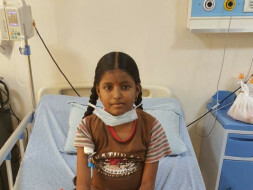 Somitha ,D/O D.Ramu,age 11 years,taking treatment in NRI Hospitals,Guntur. 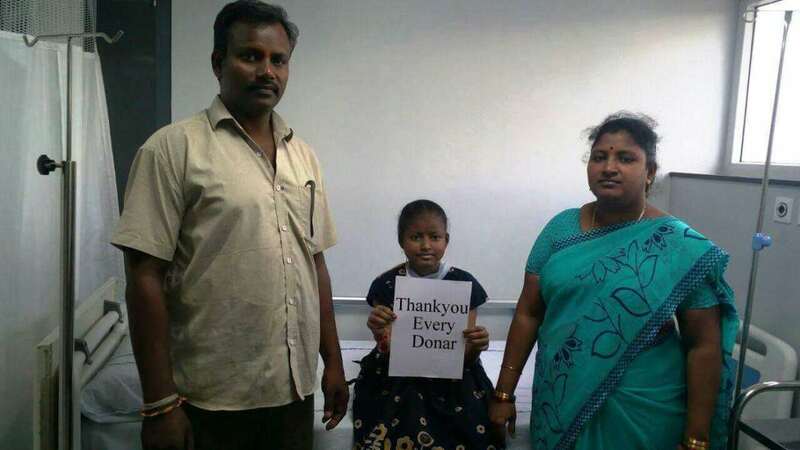 Just donate your one day of personal ,entertainment , fun or outside food expenditure to SOMITHA.....because "small penny may not effect our life but it can save her life"
thankyou inadvance - every "DONAR"
I am Dontamsetti. 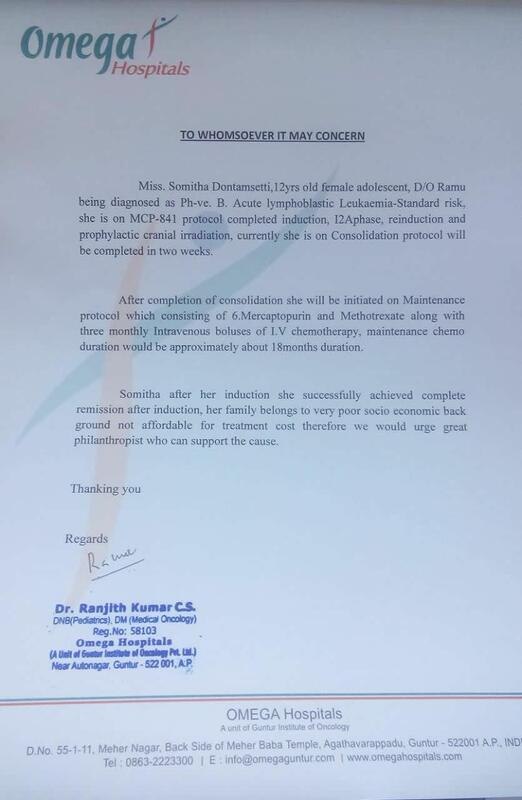 Somitha, 11 years old,please Save me from cancer..
Good news for everyone. 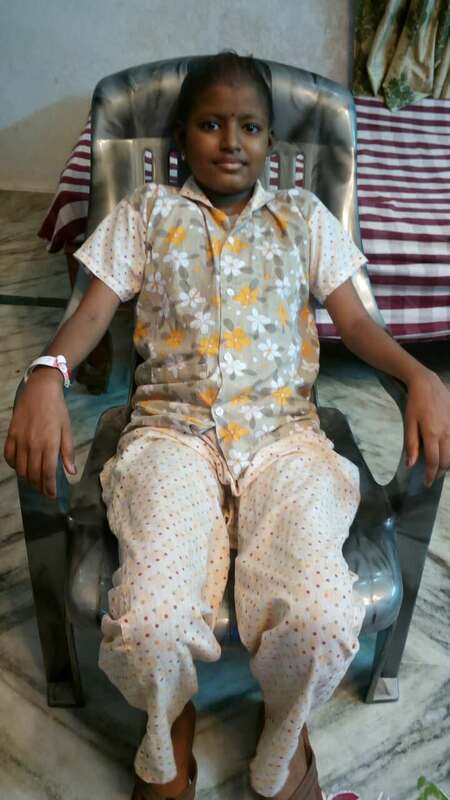 Somitha is recovering slowly and completed all the treatment and medical tests in hospital and lab. We got a positive update from the doctor about Somitha's health status. 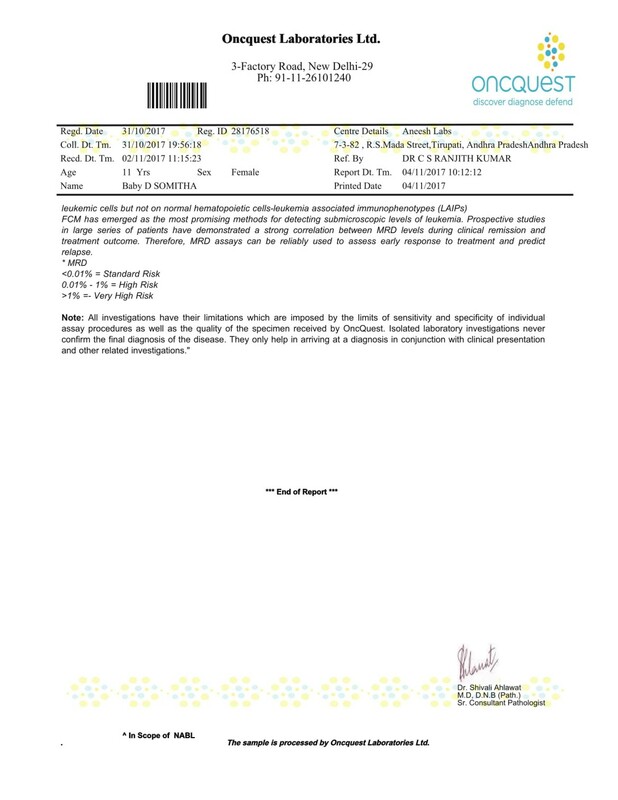 1 week back doctor completed Bone marrow aspiration test and MRD tests to check the final report on leukemia cells which are present in the body and that day he said to us, if the final output result comes as 0.00-0.01 means disease under control and no need to go for any treatment in hospital, oral medication for 17 months is enough. Please support and bless her for her speedy recovery and thank you for your love and support. 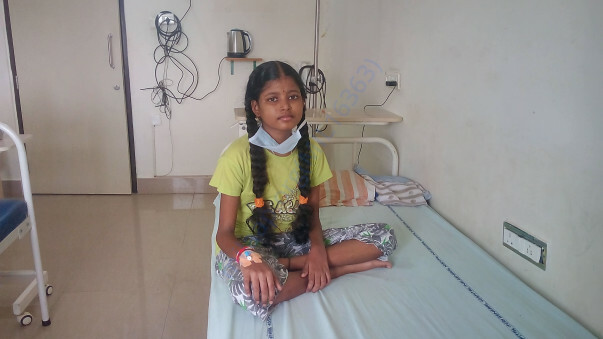 SOMITHA completed all chemo sessions and discharged from the hospital. 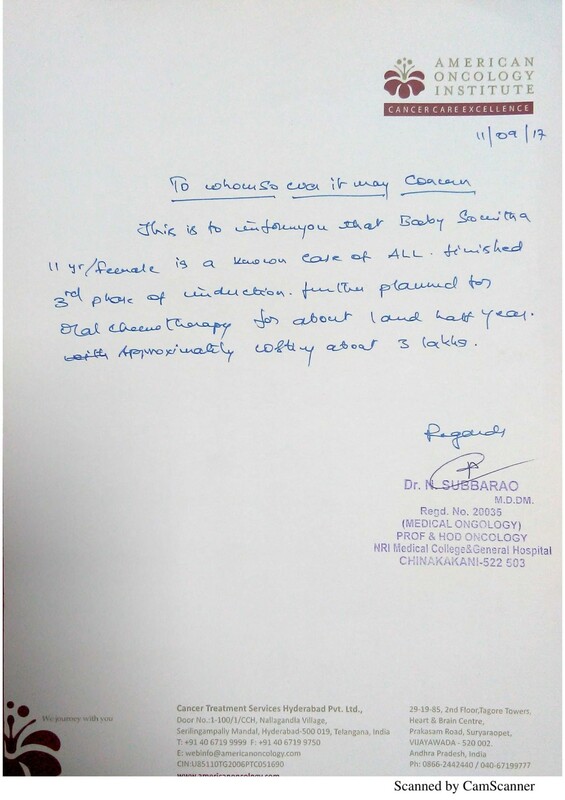 Last month Somitha had to go for her final session of chemotherapy in NRI hospital, unfortunately, the duty doctor who treated Somitha from the beginning had moved to Omega hospital. 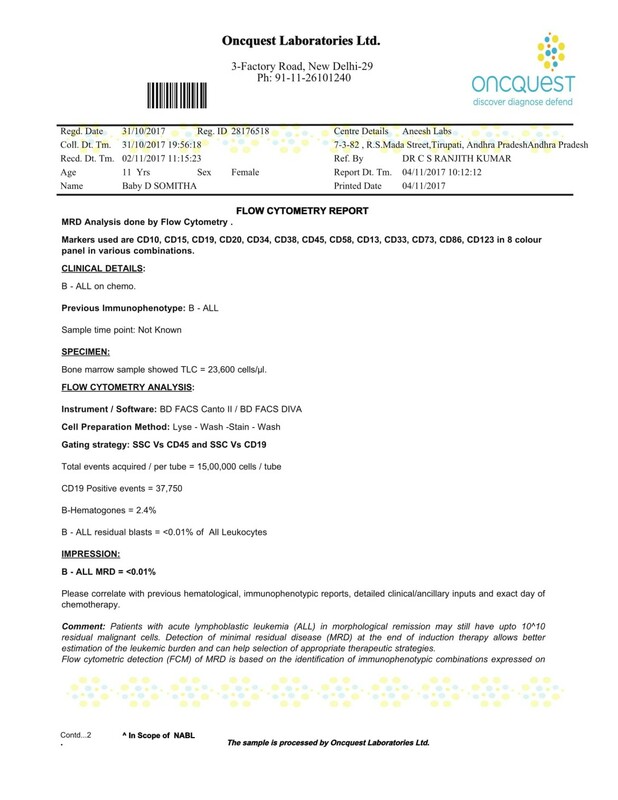 And the parents decided to admit her in omega hospital for final chemotherapy protocol, because that duty doctor only knows everything about her treatment and response to the treatment. 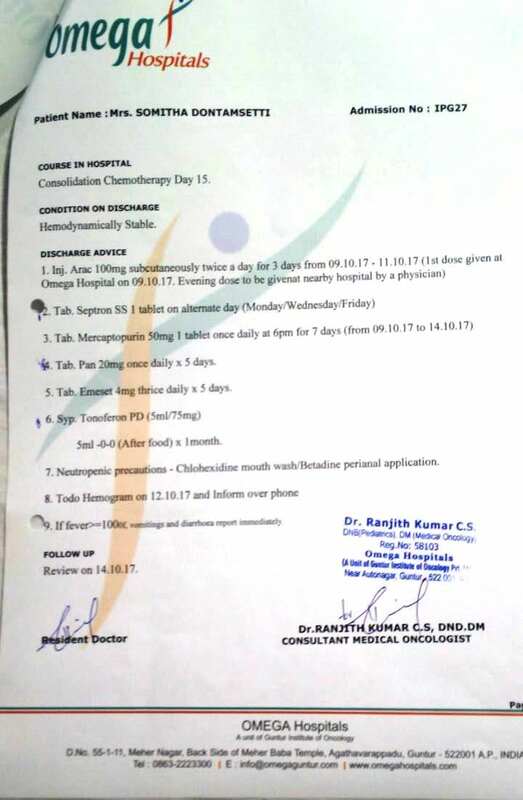 The doctor successfully completed the final chemo session. 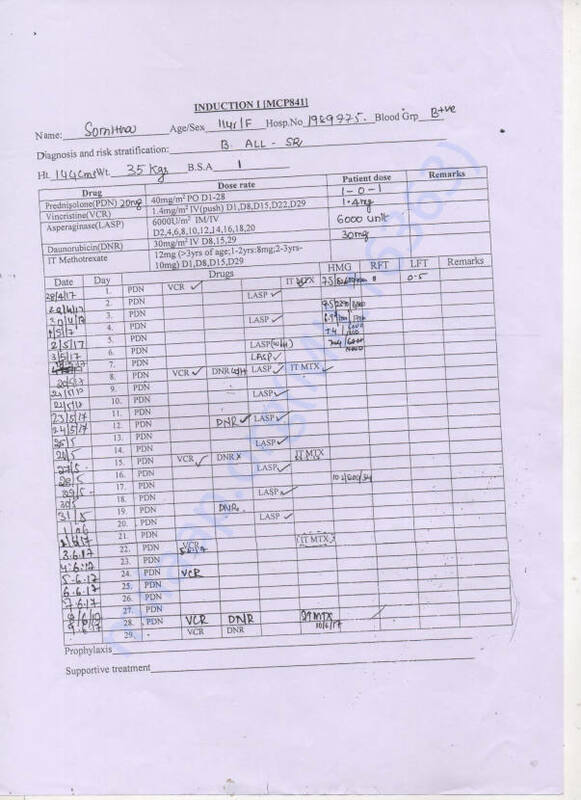 On the discharge day, he suggested to use medicines for 18 months(4 months high dose + 14 months regular medicines), weekly injections for 2-3 months and blood test every 15 days for 2 months, later on, monthly once blood test to check platelets, WBC, R.B.C count. I would like to thank MILAAP Team for their 24*7 support and I especially want to mention a name i.e., Prithu(Milaap), because his support towards Somitha is unforgettable. Once again thank you each and everyone who supported that brave child to fight her cancer. In soon her dream comes true, I mean, Again she will join in school after her complete recovery. 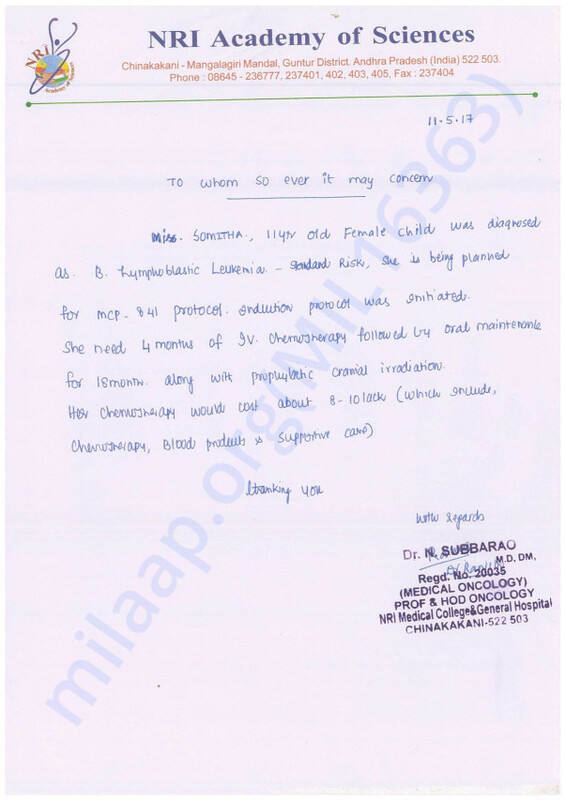 If possible please support her for oral tablet course of 18 months. 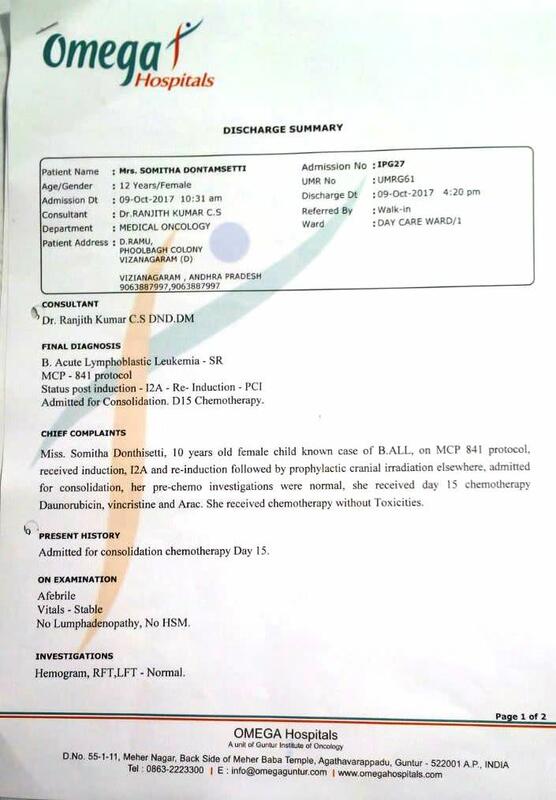 Yesterday she went for her weekly checkup and took one-day treatment of chemo injections, the doctor gave a prescription of some high mg medicines and suggested that bone marrow aspiration test will be conducted by the month end to observe complete chemotherapy treatment results and to check leukemic cells in the body. Somitha needs each and every supporter blessings for her speedy recovery by using oral tablet course only and without going to bone marrow surgery in future. 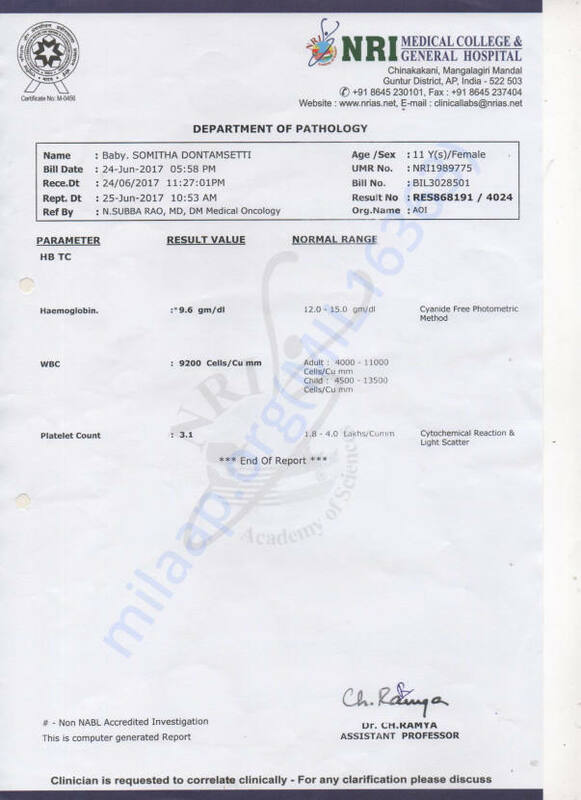 I hope cancer doesn't relapse again.......So everyone please do pray to god for Somitha's complete recovery.